Debt is not just another four letter word. It is probably the meanest of them all. The problem of debt is universal, but even more pronounced in South Africa. A person who is in debt is under constant pressure and life becomes very difficult. I am yet to see any person who has not lamented some past financial decision that led to debt. Some of these took the right decision of contacting a NCR Registered Counsellor in who helped them come of debt. Who is a NCR Registered Counsellor? If you are not aware, a NCR registered counsellor is a qualified professional authorised by the South African government to help people get out of debt. They explain the entire process to help you manage your credit. 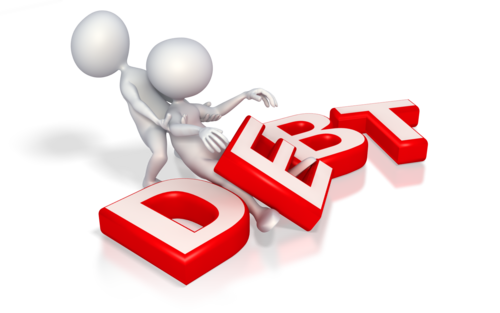 They work with you to analyse your debt situation as well as your income and expenditure patterns. Based on this, they are authorised to negotiate with the all your creditors to restructure your loans. In some cases, they help in bringing down the regular payments to as much as 60%. Simply put, a NCR registered counsellor is your friend in need. And just like a true friend, the counsellor might also ask you to stop reckless spending – all with the good intention of helping you get out of debt as soon as possible. There are also several cases where a person in debt even loses their car or house and become blacklisted. Many of these cases can be traced to wrong advice that drew them further into the black hole of debt. A NCR registered counsellor will give you accurate and sound advice – and what is more, they will keep all your credit details confidential and hence save you from the embarrassment of leaked information. There are several people who have been helped by NCR registered counsellors to get out of debt without having to face humiliation, threats and legal proceedings from creditors and collection agents. In fact, the law mandates that once your debt is under review by an NCR registered counsellor, creditors have to work with them and cannot contact you. This takes away a lot of pressure, right? The solution provided by NCR registered counsellors will often be such that you will get to keep your assets and have enough money to live on while paying off your debts. The payments to creditors are often consolidated to one single payment and that makes it easy for you as well. NCR counsellors also provide you with education and point out the financial mistakes that you may have done in the past so that you don’t repeat them once again. To find an NCR registered counsellor to work with you to get out of debt, contact Debt Guides.